Suffering and pain present both practical and theoretical problems. This might be surprising. Having long faced the problem of pain, we might have expected it, by now, to be solved. Pain treatment, however, remains woefully inadequate. Chronic pain is not only often incurable and difficult to manage, it is proliferating. Pain treatment and management are intertwined with questions about pain’s nature; responses to pain will appropriately differ depending on what it is. Within and across disciplines, however, agreement is absent. Despite these difficulties, suffering is often not even distinguished from pain—in theory or in practice. In everyday life, we recognise that some pain is not suffering, and some suffering is not pain, but there is little consensus about which is which, or what is either. Autonomy, similarly, presents both practical and theoretical challenges. While it’s clear that autonomy is something we value, as with pain and suffering, its nature remains obscure. We want our lives to reflect who we are and what we care about. It’s clear, however, that we are subject to social and economic realities that limit the extent to which this can be so. Individual options, and collective resources, are limited. This raises difficult questions. How many and which of our choices need to be made and successfully implemented for us to be truly autonomous? What limits, if any, properly constrain the kind of choices that should be respected or facilitated in our collective societies? Here again, controversy remains. The end of life brings questions about suffering and autonomy, and their relationship, into sharper relief. It is easy to see why. Suffering at the end of life is sometimes an utterly overwhelming experience. Following Cicely Saunders, we might call these suffering experiences ‘total pain.’ Priorities, and indeed identities, may be revealed and altered through this suffering. Accordingly, the preferences and choices expressed by those suffering at the end of life are in some ways more authentic than those at any other time of life. Insofar as suffering illuminates who one is and what one values, we might think it augments autonomy. In other ways, however, we might think that ‘total pain,’ more than any other suffering, undermines the sufferer’s ability to maintain their authentic values or to live their lives in accordance with them. Insofar as suffering undermines one’s very agency, we might well think it threatens autonomy. For the last year, Dr. Ben Colburn and I have led an interdisciplinary investigation into suffering and autonomy at the end of life. Ben’s antecedent research focuses on autonomy, and mine on pain and suffering. Our core question was how suffering both threatened and augmented autonomy at the end of life. Ben and I are both academic philosophers by training, and we academics tend to be a solitary and isolated bunch. Rigorous specialisation often results in entrenched debates that are almost impossible for others to access. Thus do the connections between academic debates and the world beyond become increasingly attenuated. I stress that these debates, and the further inquiries they spawn, are often extremely valuable. But one often has to squint to see the moment, perhaps decades or even centuries on, when practical value may manifest. From the beginning of our project, however, Ben and my goal was to respect not only the theoretical difficulty of the issues on which we were focused, but their practical importance—indeed, their practical urgency. The demographics in western societies, including Scotland, are changing. Our ageing population is growing. This requires advances not only in the medical science of geriatric and palliative care, but also in the underlying philosophies of old age, illness, suffering, and dying, and how they relate to autonomy. But antecedent policies and practices are already in place; we are already embarked. To maintain rigorous theoretical standards while acknowledging these practical realities, it was clear that we needed to engage not only with other disciplines, but beyond the academy. Armed with our contentious theories about suffering and autonomy (respectively), and our philosophical toolkit, we thus prepared to collaborate in thinking about suffering and autonomy in a context that was not only practically important—indeed, urgent—but a context that was distinctive. Or, so we thought. To our surprise, however, we found that the questions about suffering and autonomy raised at the end of life, are less distinct from the rest of life than anticipated. Put thus bluntly, we should have seen it coming. The “prime of life” isn’t something that sharply ends at some point at which the “end of life” abruptly begins. While there may be cases in which the end of life is neatly predicted, anticipated, and lived, these are rare. Suffering is ubiquitous throughout one’s life. Insofar as it can reveal or alter identity, or undermine agency, it appears that it can do so at any time. While the relationship between suffering and autonomy is thrown into sharp relief at the end of life, is there anything distinctive about this relationship at life’s end? We are no longer so sure. Indeed, in listening to the wisdom of others, we have become increasingly impressed by the importance of seeking to maintain and respect the continuity of life. This complements our own research. On Ben’s account, to be autonomous is to decide for oneself what is valuable and to live one’s life in accordance with that value. This includes how one lives at the end. As the end of one’s life is not neatly separated from the rest, to pretend it is may itself threaten autonomy. On my account, to suffer is to undergo a significant disruption to one’s agency—at least, biological, psychological, or social. Insofar as the end of life entails the inevitable disruption to the maintenance of all agentive forms, it raises questions about which to preserve for longer at the cost of which others. Deciding these questions requires thinking not only about momentary exercises of agency, but about the extended bio-psycho-social identity of the whole person. In short, the end of life is still life. Accordingly, we need to think more about how suffering and autonomy can be managed to respect the continuity of life—right through to its end. We are, furthermore, more convinced than ever of the need to collaborate to make progress in this area. Knowing how to manage pain and suffering at the end of life, whilst enhancing and preserving autonomy, requires a richer understanding of these things and their (dis)value. We need to clarify our thinking about these, and their relationship to each other, to address the pressing practical problems presented at the end of life. At the same time, puzzles about suffering and autonomy are not purely academic exercises to be solved from the ivory tower (more parochially: one’s office). Crucially, steadfast work to eliminate suffering and preserve autonomy yields practitioners a wealth of knowledge. Academic theories need to be informed by this practical knowledge. Thus, to make practical progress and enrich our theoretical understanding, we need to continue to collaborate. This work is ongoing and we are grateful to those who have shared with us so far: fellow academics (especially fellows philosophers and members of Glasgow’s End of Life Studies Group), and practitioners and policy makers in the NHS, the Prince and Princess of Wales Hospice, Macmillan Cancer Care, Marie Curie, and the Scottish government and Parliament. They questioned, challenged, and taught us. We learned much and are still processing all that we have taken in. The Suffering and Autonomy at the End of Life project is over, but it was for us the beginning of what we hope will continue to be a rich conversation across disciplines and beyond the academy. We are only beginning to scratch the surface. 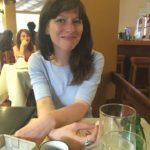 Jennifer Corns is a Lecturer in Philosophy in the School of Humanities at the University of Glasgow and a member of the Glasgow End of Life Studies Group. If you’d like to collaborate, please get in touch.